When Google announced they were going to scan books for the Web, authors in my circle screamed “Copyright Infringement!” But when colleges scan textbooks, what’s it called? … Borrowing? A number of textbook publishers, supported by the Association of American Publishers (AAP), filed a federal court lawsuit for copyright infringement against Georgia State University. The claim is that the University has “systematically enabled professors to provide students with digital copies of copyrighted course reading materials without the publisher’s permission.” The number of pages lifted range from a few pages to hundreds of pages within the same book. Many universities participate in the copying of text from books, but with permission from the publisher. Georgia State University refuses to cooperate. Niko Pfund, the vice-president of Oxford University Press, stated that university presses are important to the academic environment because they fulfill the needs of students and professors. 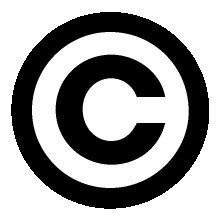 Pfund also stated that without copyright protections, publishers would not be able to meet those needs. In other words, authors and publishers have to make a living. What’s odd is during one of my history classes, the professor made us buy a put-together-by-hand booklet. Sure, no one textbook has everything a professor needs to teach the class. But copyright infringement came to mind, although I assumed the college had gotten the necessary permissions. Now I wonder. What’s more interesting is that I got into a little trouble during my first semester of going back to college because I reminded one of my professors that copyright infringement is still a crime in all 50 states (you can read more about this “incident” in my soon-to-be-published memoir about me going back to college as a nontraditional student). As an author, copyright infringement rubs me in all the wrong ways. It took me a few years to work on my memoir, which salaried for about five dollars per hour (not even minimum wage in most states!). I’m sure the publishers and Georgia State University will work something out. If not, perhaps other universities will take it as a warning. Have you bought put-together-by-hand books from your college or university? Is Getting Straight A’s in College Overrated?